The conclusions of this study are radical. 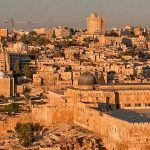 Using biblical, historical, circumstantial and archaeological evidence, the study confronts the negative stance on Israel taken by many institutionalized churches. 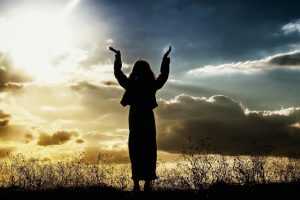 It suggests that descendants from the so-called ten lost tribes of Israel are being used by God to bring good news and blessings to receptive nations. And all this via the church! Today’s church is largely ignorant of her Hebraic roots. A study of the 12 tribes of Israel is essential if we are to understand today’s world scenario. 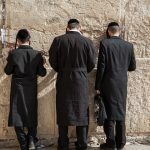 For instance, the religious occupants of present-day Israel are essentially Jews (traditionally from the tribes of Judah and Benjamin), and prophecy says they will suffer great persecution in coming days. But where are the other 10 tribes? The Bible records that they were “scattered amongst the nations”, but where exactly? Have they served their purpose in history and are no longer important? Certainly many in the institutionalized church think so. On the other hand, the Bible claims these ‘lost’ tribes had, and still have, a very definite role in God’s plan for the world. It claims that towards the end of the age they will become “a multitude of nations” praising the God of Israel “from the ends of the earth”. Surely such a multitudinous people must be visible in the world? This study identifies this multitude and suggests they are the hidden roots of the true Christian church. Descendants from the scattered 10 tribes of Israel could be amongst today’s Gentile congregations! The study suggests this scenario arose through a migration of the 10 tribes to western Europe and Scandinavia, with Britain taking a prime role in God’s plan. The 12 tribes of Israel are descendants from the 12 sons of Jacob (so sometimes they are referred to as ‘the house of Jacob’). As he was dying, Jacob (whom God renamed ‘Israel’) blessed his 12 sons (Gen 49.1-28), and this blessing included sons Levi and Joseph. 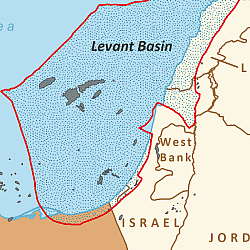 The tribe of Levi was actually unique in that they received no allotment or inheritance from the LORD (Deut 18.1-8, see map). 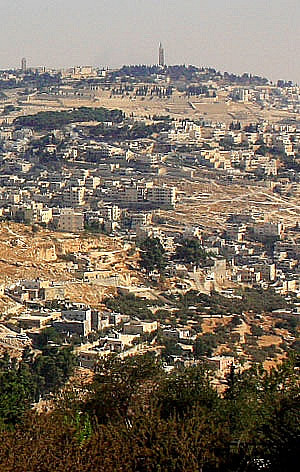 The Levites were excluded from a land allotment because their service would require them to live throughout all of Canaan. They were to minister the Lord’s instruction and perform as priests for all the other tribes. 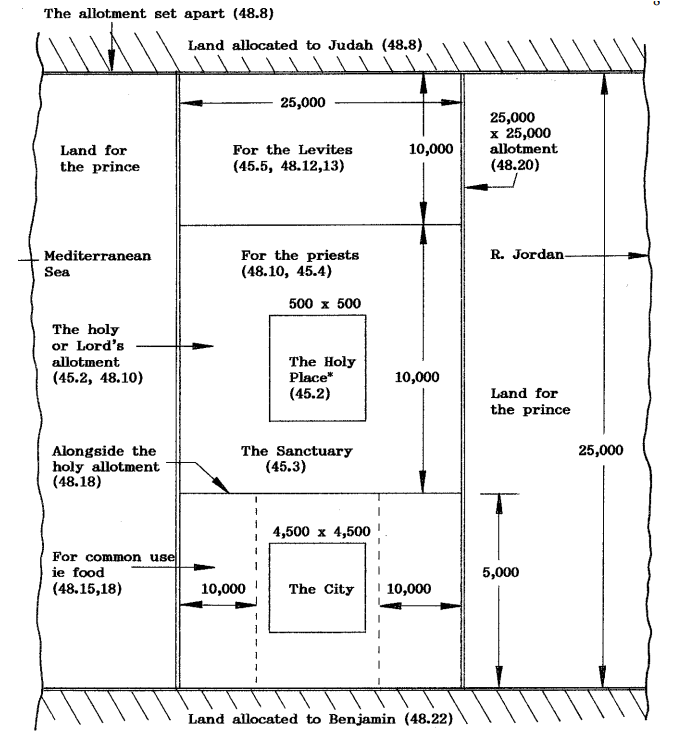 It is interesting to note that in the coming millennial age the Levites are allotted an area close to the millennial temple in order to minister in the temple (Ezek 45.5), link. 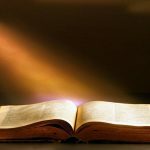 All 12 tribes are Israelites (or Hebrews), all were led out of Egypt, and all 12 tribes were given the first five books of Moses – the Pentateuch. The (united) Kingdom of Israel under the kings Saul, David, and Solomon lasted from about 1020 to around 930 BC (2 Sam 5.12), see map. 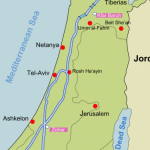 But around 930 BC the last 10 tribes in the above list formed the independent Kingdom of Israel in the north. 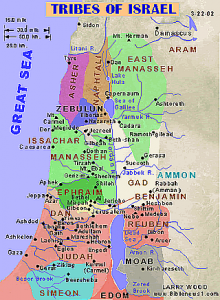 It was called ‘Israel’ simply because it was led by the tribes of Ephraim and Manasseh who bore that name (Gen 48.16). The other two tribes, Judah and Benjamin, set up the Kingdom of Judah in the south. The term “Jew” originally referred to a member of the tribe of Judah and it was Jews who returned to rebuild Jerusalem after their Babylonian exile. In scripture the two tribes are often referred to as the ‘house of Judah’ whilst the 10 tribes are referred to as the ‘house of Israel’, or simply ‘Israel’. They are also referred to as the ‘ten lost tribes’ since many claim their identity and location became uncertain after their deportation to Assyria. That said, the true meaning of ‘house of Israel’ depends upon its context. Prior to the breaking up of the Kingdom of Israel, and in Acts 2.36 and Hebrews 8.10 the phrase refers to all twelve tribes. And when Yeshua said he was sent only to “the lost sheep of the house of Israel” (Mat 10.6, Mat 15.24) the phrase implies Yeshua had the Jews in mind and not the lost tribes. Finally, bear in mind that most Hebrews (Israelites) are not Jews, and ten-tribed Israel are never called Jews! Some maintain that the ten lost tribes are not lost at all and claim it’s all a myth, link, link. Others maintain its not a myth and the tribe locations are known – even staring us in the face, link. They claim many historians and researchers have verified that the so-called ‘Lost Ten Tribes of Israel’ are in our midst, link. Here we examine many biblical references to these 10 tribes and relate them to circumstantial evidence and plausible historical and archaeological clues as to their identity. In particular, the location and role of the key tribe, Ephraim, cannot be overstated. This is because of Ephraim’s birthright. 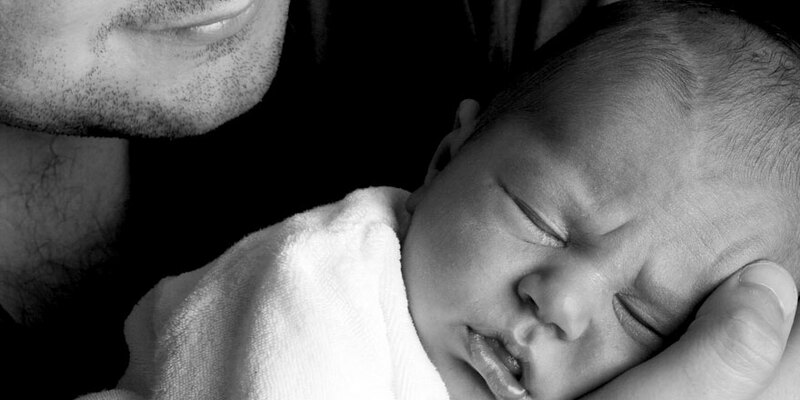 In Judaism, the first-born son usually took rank before his brothers and sisters and was given the ‘birthright’. This gave him judicial authority to rule over the family and to act as head and priest for the family. The priestly role of Ephraim has implications for today’s world. In the last days Israel will be called “the priests of the LORD” (Isa 61.6). Does this come from Ephraim’s role in today’s church? See later. 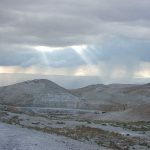 Why the blessing to Ephraim? Jacob’s firstborn was in fact Reuben and traditionally he should have received the birthright. But due to Reuben’s sin the birthright went to his younger brother Joseph and to his two sons Manasseh and Ephraim (1 Chron 5.1). Again, traditionally the elder brother Manasseh should have had the birthright, but under the Spirit’s guidance Jacob gave the younger brother Ephraim the birthright (Gen 48.16-20). So, although Ephraim’s older brother Manasseh would become a great people, Ephraim would became greater and become “a multitude of nations” (Gen 48.17-22). Ephraim in Hebrew means ‘fruitful, fertile, productive’. Around 930 BC the 12 tribes separated into the Southern Kingdom (Judah and Benjamin) and the Northern Kingdom (Israel). Traditionally the Jews are descendants of Judah (although today the term has became synonymous with “Israelite”). Some maintain that the so-called ‘Ten Lost Tribes’ are not lost at all and they can be identified in today’s world. God gave Ephraim, the younger son of Joseph the historic birthright and blessing that had been handed down through the generations. As a result, Ephraim’s descendants were to become “a multitude of nations” with a special role in the world. Through the birthright promises certain nations of the world have been (and still are) greatly blessed by the God of Israel. Sadly, such dramatic prophecies are often too much for the institutionalized church and they are ignored. But to do so greatly weakens the church. 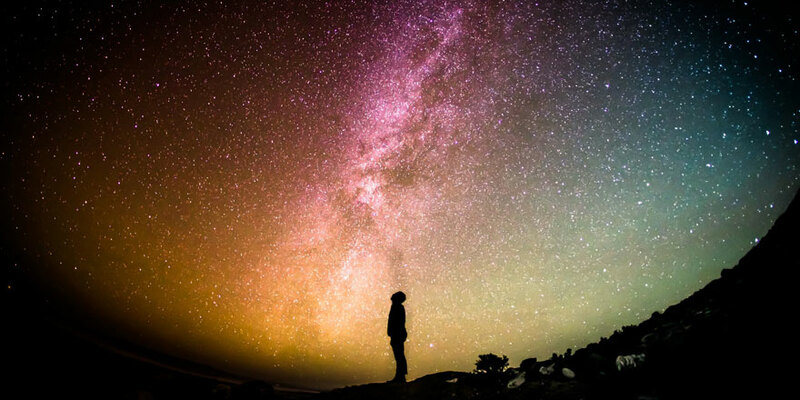 So in this article we ask the important question: ‘Where are these tribes today, and what is their role?‘ If they are a multitudinous people and a multitude of nations then surely they can be identified? Before we study the ten lost tribes, it is important to understand what we mean by the term ‘Jew’. All Jews are Israelites (or Hebrews), but not all Israelites are Jews. Put another way, not all of the 12 tribes are Jews. Strictly speaking, Jews (Hebrew, ‘Yehudi’) are those who follow Judaism and who are descendants from the Kingdom of Judah. But over time, the word Yehudi described anyone from the Kingdom of Judah, which included the tribes of Judah, Benjamin and some of the priestly tribe of Levi. The apostle Paul claimed to be a Jew since he was from the tribe of Benjamin (Acts 22:3, Rom 11.1). According to Orthodox Jewish law, matrilineal descent is one way a person can be a Jew i.e. birth from a Jewish mother. 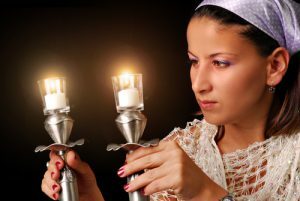 Another way is through proper conversion to Judaism by an Orthodox Jewish Beit Din (Court of Jewish Law). So Israel’s Law of Return (2nd Amendment) defines ‘Jew’ as “a person who was born of a Jewish mother or has become converted to Judaism and who is not a member of another religion”, link. Note the last condition. Under the Law of Return, every Jew has the right to immigrate to Israel. 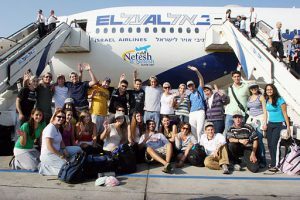 But currently, Israeli law generally regards Messianic Jews as ineligible for immigration (aliyah) because of their belief in Yeshua (Jesus). For the Jews this is seen to be true, from their exile in 586 BC to present-day. Their rejection of truth reached its climax when they rejected their true Messiah, Yeshua, and said to Pilate: “His blood be on us and on our children” (Mat 27.25). How true. Some 6 million Jews perished in the holocaust. But their persecution reaches its climax in the “great tribulation” at the end of this age (Mat 24.15-22). This time of severe persecution is also described as “Jacob’s trouble” (Jer 30.7) which implies it concerns both Israel (the ten tribes) as well as Judah (Jer 30.3-7). 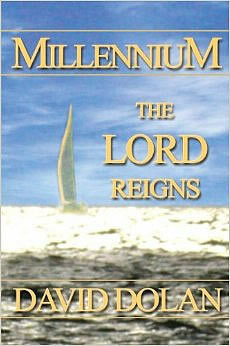 Just one-third survive as they are refined for service to the LORD in the millennial age (Zech 13.8,9). Note: It is claimed that one of the darkest secrets of the Protestant Reformation was the fact that Jews were slaughtered side by side with the lost 10 tribes of Israel during the Dark Ages of Papal Christianity, link. 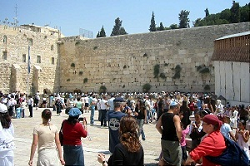 Aliyah refers to a “going-up” to Jerusalem in the form of mass immigration. Jews see it as ‘going up to holiness’, link. Using the official (aka Israeli government) definition of ‘Jew’, we can now examine official Jewish demographics. As mentioned, according to prophecy we should not expect large numbers. As of 2017 there were some 6.5 million Jews in Israel or 45% of the world Jewish population (Israel’s Central Bureau of Statistics, link). So, possibly surprising to some, there are only about 14.5 million Jews in the world! This is certainly not an innumerable people, like the sand of the sea. It appears that those who have already returned to Israel are largely from the tribes of Judah and Benjamin. It seems that the LORD is “gathering together the dispersed of Judah” (Isa 11.12). Already nearly 50% of all Jews reside in Israel. Why? 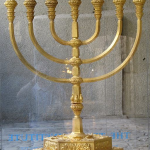 We note that it is the tribe of Judah which is made “like a firepan in the woodpile” during the defense of Israel in the final end-time wars (Zech 12.1-9). And at Christ’s return it is Judah (the house of David) and the associated priestly tribe of Levi who mourn at Jerusalem for the One whom they pierced (Zech 12.10-14). The fact that the house of Judah in particular is immigrating to Israel (as opposed to the ‘lost’ house of Israel) has prompted some to comment that the modern nation of Israel should have called herself Judah, not Israel! Surely the nations can see an amazing thing here? In 1915 there were just 83,000 Jews in Israel (Palestine) but this increased to nearly 6.5 million Jews in 2017, link. This is an amazing 7700% increase! In comparison, over the same period the UK population increased just 55%. 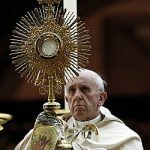 Other signs are the sudden appearance of the state/nation of Israel (as prophesied), the regeneration of the land (as prophesied) and the discovery of vast natural resources under the sea (as prophesied). Not to mention Israel’s advanced agricultural and web-security technology which is exported all over the world, link. 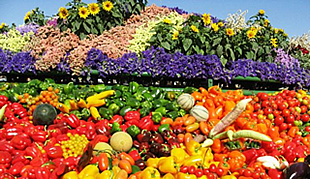 Although only 20% of Israel’s land is arable, Israel still manages to produce 95% of her own food requirements! Surely the nations can see that ‘Someone’ is blessing the Jews in Israel? But since the Southern Kingdom, Judah, ceased to exist around 586 BC after the final Babylonian invasion, Judah had no throne to offer Christ at His first coming. They rejected the way of Christ and were finally totally dispersed in 70 AD under Titus (an event known as the Diaspora). So who carried the scepter after the destruction of the Kingdom of Judah? According to Genesis 49.10 a monarchy honouring and pointing to Christ must exist in the world today. The British flag was called “Jack” out of respect for King James I of England. The Latin for James is “Jacobus” and in Hebrew “Jacob” (jckb). When shortened it becomes “Jac”. Interesting! Some see the riddle of Ezekiel 17.1-24 (spoken to the house of Israel) as pertaining to the same ‘transplant’ event. The British-Israel explanation is that Jeremiah brought Tea Tephi, supposedly one of the daughters of the King of Judah to Ireland where she married the son of the king. From her line arose the monarchs of Scotland and England, thereby continuing the throne of David. 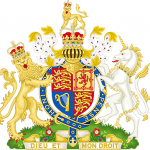 See the genealogy of the descent of the British Royal throne from King David. On the other hand, some question the historical accuracy of such explanations and point out that the lineage of David as King of Israel passed through the male line, not the female one. Perhaps the throne came to the British Isles via the kings of the Scythian Tribes (see later) since they were believed to be descended from David, link. 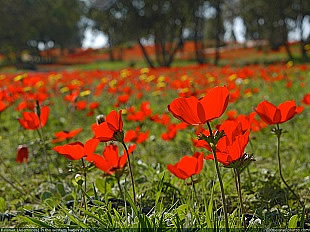 More at Migration Paths of Israel. From biblical, historical and present-day evidence, some 45% of all Jews in the world now reside in modern Israel. These people are essentially from the tribe of Judah (house of Judah), but some must also be from the tribes of Benjamin and Levi. The ‘ten lost tribes’ or ‘house of Israel’ (Reuben, Simeon, Zebulun, Issachar, Dan, Gad, Asher, Naphtali, Ephraim and Manasseh) are now scattered throughout the nations. 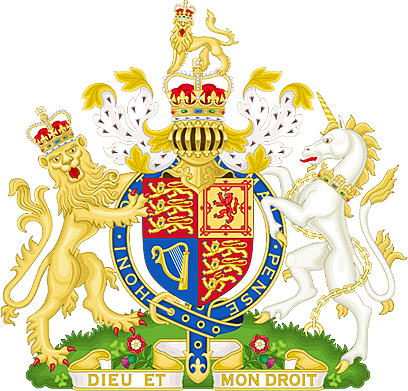 Strong biblical, archaeological and historical evidence associates the British Isles with the continuing throne of David (the scepter). Similar evidence also suggests that the British Isles is closely associated with the birthright given to the tribe of Ephraim. In other words, Britain could be closely associated with the blessing of a “multitude of nations” (see later). For a discussion on the relationship between Ephraim, David’s enduring throne and the British Royal throne, see Joseph Wild, 1882. The entire body of the ten tribes are still beyond the Euphrates, an immense multitude not to be estimated by number. Around the time of Josephus, the early church also recognized that the tribes of Israel were “scattered abroad” (James 1.1). Clearly, the majority were not in Canaan. Note that this migration was to be a blessing to the whole earth. And, paradoxically, it came about through Israel’s sin and scattering! The ten tribes were exiled north to Assyria over several Assyrian invasions between 734 and 722 BC. 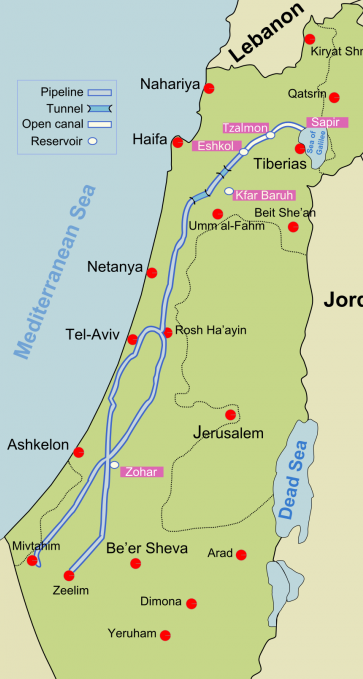 Finally, around 722 BC the Kingdom of Samaria fell, marking the end of the Northern Kingdom. 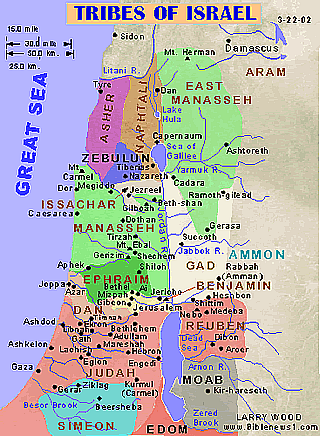 Samaria’s territory largely corresponded to the tribes of Ephraim, the western half of Manasseh, and Zebulon, see map. When Sameria was conquered these tribes were carried north and east to the cities of the Medes – modern Iran, (2 Kings 17.6). There, Ephraim and Manasseh became identified with the Cimmerians and Scythians. This kingdom that I hold is from Sakka (tribes of sons of Isaac) which is beyond Sogdiana to Kush and from India to Sardis. The Scythians and Cimmerians are of particular interest here since they were groups of Israelites that became closely associated with north west Europe, link. The Scythians were a nomadic people who migrated westward from Central Asia to southern Russia, Ukraine and eastern Europe in the 8th and 7th centuries BC, link. Between 300 and 100 BC the Scythian-Israelites (Sarmatia groups) were in Armenia and Bulgaria and subsequently migrated north west to Scandinavia. Meanwhile, in the 8th and 7th centuries the Cimmerian-Israelites were pushed out of southern Russia to the north Caucasus region, whilst some settled in Asia Minor (Cappadocia, Turkey), link. Around 650 BC the first waves of Cimmerian-Israelites were driven into SE Europe and subsequently moved west to Gaul and Britain, link, link. The Greeks refer to a people called the Celts who lived in regions near the Danube River around 600 BC, but they were originally called Cimmerians, link. The Celts became the controlling power in Europe for 500 years before being called Gauls. So Celts and Gauls are two more names for the lost tribes of Israel, link. It is interesting to note that some in Wales claim Celtic identity and call themselves CYMRU…cimri – a name relating to the Cimmerians. In fact, the term ‘cymric’ refers to the Brythonic group of Celtic languages, consisting of Welsh, Cornish, and Breton. The rest of the Celtic world were German or Slavic, link. Taking an overview, historians claim that the tribes of Israel emerged into northern Europe in the 3rd century BC as the Cimmerians, Scythians, Cymrics, Celts and others. Scythian-Israelites (the tribes of Naphtali, Asher, Dan and Issachar) migrated north and west to Scandinavia where they populated Norway, Sweden, Finland, and Denmark. Others migrated west to France, the Netherlands, Belgium, and the ‘Isles of the West’ (Britain, Ireland, and Scotland), link. The Caucasian Link: Whilst the origins of the early peoples of Britain (the Celts) is much discussed, what we can say is that “the early peoples of Britain biologically were part of the Caucasoid (Caucasian) population of Europe – they were not European”, link, link. This supports the view that Cimmerian-Israelites migrated west to Gaul and Britain from their exiled locations in the Caucasus-Turkey region. 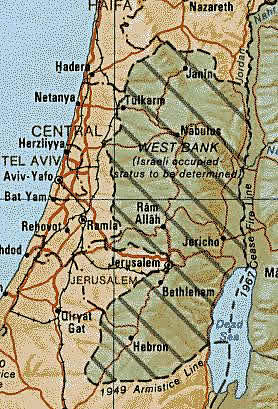 Another possible migration route for Israel was westwards by sea. Phoenician and Philistine ships working for the Assyrians transported Hebrews to Spain (tribe of Simeon), Gaul, and Britain, link. Here we consider a much later period in British history. The Saxons, aided by Angles and Jutes invaded Britain after the fall of Roman Britain around 450 AD. Although Germanic speaking they were of diverse origin e.g. northern Germany, Denmark and The Netherlands. The origin and meaning of the word ‘Saxons’ is of interest here, particularly: German: Sachsen, Low German: Sassen, and Dutch: Saksen, link. The traditional understanding is that ‘Saxon’ is a Germanic word meaning “warrior with knives”. But others see a deeper meaning. After Assyria fell, ancient records tell of a new people living around the shores of the Caspian Sea. These people were variously known as Sacae, Sakki, Scyths or Scythians, link. As discussed, we know that Scythian-Israelites migrated west into Europe and Scandinavia. So some see ‘Saxon’ as the final form of Sacae, Saka, Sacasone or Scythians, and claim ‘Sakka’ means the “peoples of Isaac”, link. Note that the Dutch word for Saxon was ‘Saksen’ and that the Dutch female first name, Saskia, originally meant “A Saxon woman”. Now lets put history and the Bible together. Remember, in his blessing of Joseph’s sons Ephraim and Manasseh, Jacob said; “Let my name (Israel) be named upon them, and the name of my Fathers Abraham and Isaac” (Gen 48.16). Since historical records suggest that the Saxons were “sons of Isaac”, then Genesis 48 verse 16 implies that these invading peoples – the Saxons – were descendants of the tribes of Ephraim and Manasseh. Looking wider afield, the video associates the ‘lost’ tribes with western Europe e.g Dan with Denmark, Zebulun with France, Naphtali with Norway, Reuben with Holland and Ephraim with Britain. Even today the British Isles is sometimes seen as an ‘Atlantic Archipelago’, link. It may not be out of place to state that ‘the isles afar off’ mentioned in chapter 31 of Jeremiah were supposed by the ancients to be Britannia, Scotia, and Hibernia, the isles often visited we know by the merchant mariners of Phoenicia whose fleets included ships and crews drawn from the tribes of Dan, Asher and Zebulun of the coastal areas of the Land of Israel. 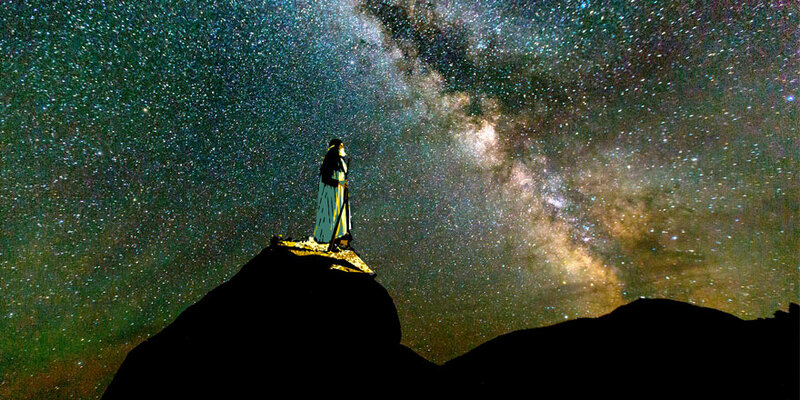 Here God is calling the tribe of Ephraim (His ‘firstborn’, Jer 31.9) back to Himself. As he went, Ephraim is asked to make road signs or guideposts pointing back to Canaan. Is there any evidence of these ‘signposts’ today? One strong candidate is the dolmen. 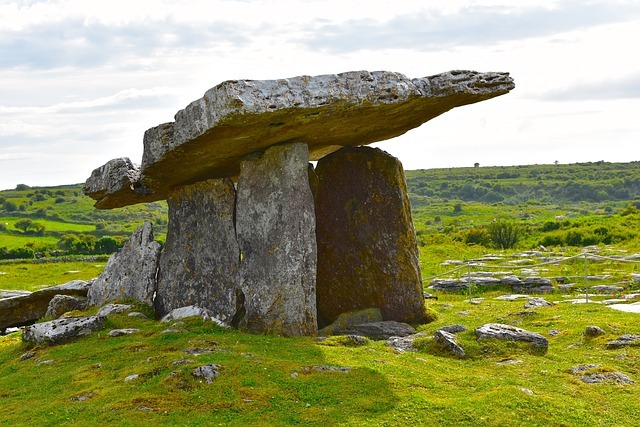 Dolmens are stone monuments made of two or more upright stones with a single large stone lying across them. Their purpose is uncertain but many claim they were tombs. 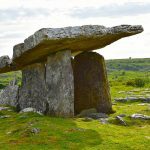 The most widely known dolmens are found in northwest Europe, notably in the region of Brittany, France; southern Scandinavia; Britain; Ireland; and the Low Countries. But over 5,000 dolmens have also been documented in the Golan, northern Israel, link. 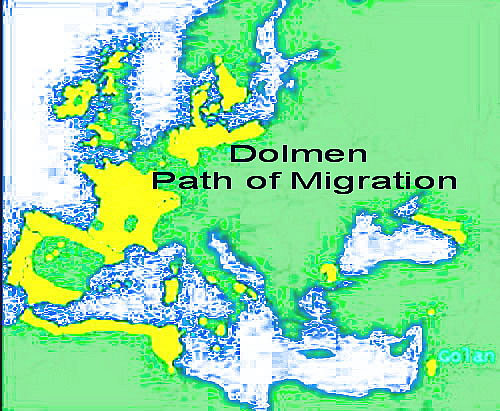 This makes dolmens good candidates for Israel’s signposts since, historically, the ten tribes appear to have migrated north east to Assyria and then north and west to northwest Europe. Dolmens are also found in Portugal and Spain. It is interesting to note that this region is called the ‘Iberian Peninsula’ and ‘iberia’ means ‘Hebrew’. Despite the complexities and uncertainties of secular history, many claim that there is a verifiable migration path from the tribe of Ephraim in Samaria, to Assyria (Iran), to the Cimmerians in the Caucasus and Asia Minor (Turkey), to south east Europe, to north west Europe – and eventually to Britain. The Cimmerian-Israelites subsequently became known as the Celts and Cymric people. There is a biological link between the early Britons (Celts) and the people of the Caucasus region. The other major peoples, the Scythian-Israelites, migrated west and north into Europe and Scandinavia. Historians see ‘Saxon’ as the final form of Sacae, Saka, Sacasone or Scythians, and claim ‘Sakka’ means the “peoples or sons of Isaac”. This suggests that some descendants of Ephraim migrated to northern Europe and then via the Saxons to Britain (note that the Netherlands word for Saxon is ‘Saksen’). 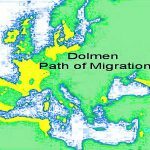 These historical records of Ephraim’s possible migration paths are supported by biblical prophecies relating to Israel in the ‘distant isles’. In addition, there are intriguing archaeological signs leading from Israel and eventually across Europe to the British Isles. These also are in prophecy. As for the other tribes, it is claimed that around the third century BC they emerged in northern Europe as the Scythians, Celts, Cymrics, Goths, Angles, Saxons, Ostrogoths, Visigoths and Frisians. These peoples populated Norway, Sweden, Finland, Denmark, northern France, Germany, the Netherlands, Belgium and Spain, link. Let’s focus on the tribe of Ephraim, a chief tribe of the house of Israel. 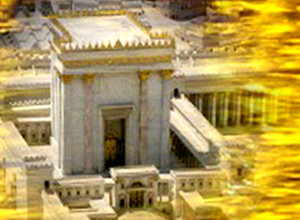 Given the notable absence of a kingly line through present-day house of Judah, it appears from the foregoing discussion that Ephraim (centered in the British Isles) holds both the SCEPTER promise (the royal throne of David) and the BIRTHRIGHT promise (a fruitful, multitudinous people bearing blessings to the nations). Note the term ‘house’ (Heb: bayit, meaning household, family or clan). God promised David that He would build him a house in the sense of establishing a royal dynasty for the house of David. This was an enduring legacy for David long after his death. Although David could not see it, God’s promise meant that this royal dynasty would be continued even after the destruction of the house of Judah and the final dispersion of the Jews in 70 AD. There are strong indications that this was continued through the scattered house of Israel, and in particular through the tribe of Ephraim in the British Isles, link. As discussed, there is a fascinating connection between Israel and the British Royal throne. Rebellious unfaithful Israel, wherever she had gone, was once more to be reconciled to her husband. Again they would sing to God and cry aloud the name of the LORD, but this time they sing and cry “in the coastlands of the sea, from the ends of the earth” (Isa 24.14-16), “in the isles afar off” (Jer 31.10). These important prophecies point to an immeasurably large number of spiritually blind people (exiled Israel) who become reconciled to God. It appears that at some future time and place, the rejected and dispersed people of Israel would respond and say “You are my God” (Hosea 2.23). We might see this restoration and blessing starting with the early church. Peter said they were “a royal priesthood, a holy nation to proclaim the praises of God”. This people “who were once not a people are now become the people of God” (1 Pet 2.9,10). 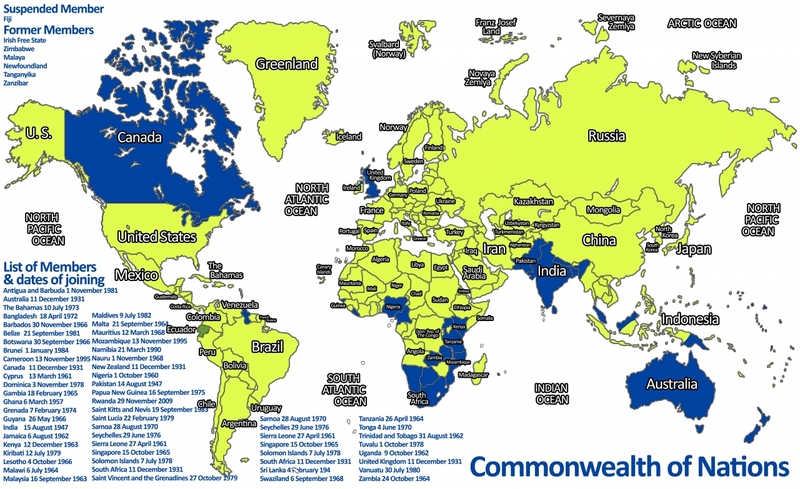 A Nation and a Company of Nations – the Commonwealth of Nations? Here the word ‘company’ (Heb: ‘qahal’) also means ‘multitude’. Demographically, these promises are not seen in the house of Judah (the Jews), who today are numbered only in millions. 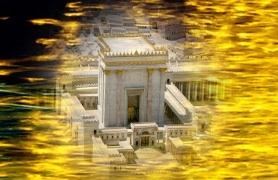 But they can be seen in the house of Israel who, according to prophecy, will be numbered “like the dust of the earth”. Some claim that this multitude is seen, in part, in the Commonwealth of Nations, initially called the British Commonwealth of Nations. This is certainly a multitudinous people, embracing almost a third of the world population (billions). The origins of the Commonwealth lie in the British Empire, when some countries were ruled directly or indirectly by Britain. Currently this is a voluntary association of 53 sovereign states, nearly all of them being former British colonies or dependencies of those colonies. Despite the Empire’s many failings (e.g. country invasion for profit), there was also a deep spiritual impact. This can be seen in the Commonwealth’s values and principles outlined in The Commonwealth Charter. This brings together the values and aspirations which unite the Commonwealth – democracy, human rights and the rule of law – in a single, accessible document. 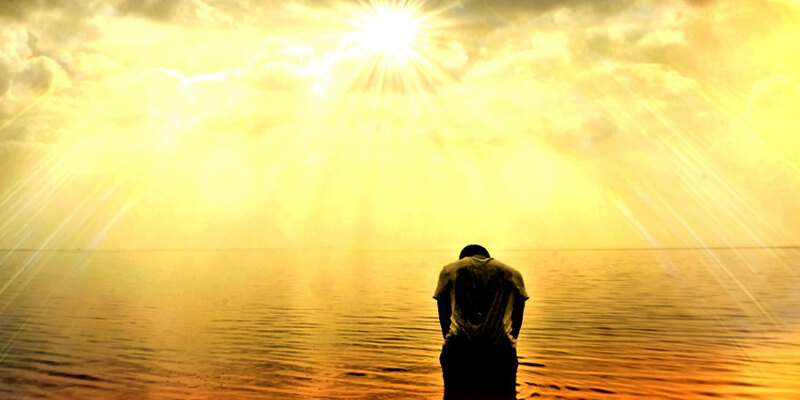 All these are fundamental requirements for Godly living that are found in the Bible. 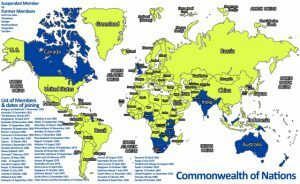 Moreover, we note that members of the Commonwealth include the United Kingdom, Canada, African nations, Australia and New Zealand – all countries that have been given the Gospel and have spread the good news (blessing) of Jesus Christ throughout the world. To go one step further, some claim that the Commonwealth and European countries, such as Australia, Canada, New Zealand, South Africa, Belgium, Denmark, Scotland, Ireland, Switzerland, Sweden, Finland, and Norway are all Israelite countries, originating from Israelite tribes. Some of these countries have a large percentage of Israelite (or Hebrew) descent, whilst others have less, link. Some confirmation of these claims comes from Sabbath keeping. 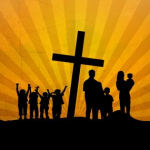 Within these nations there are small groups of people who keep the LORD’S Sabbaths, as commanded by God (Ezek 31.16-17). Is America the tribe of Manasseh? British Israelism claims that “a nation and a company of nations” in Genesis 35 verse 11 (see above) speaks of America (as in “nation”) and the Commonwealth (as in “a company of nations”), link. America is seen as the tribe of Manasseh which migrated from Germany en-mass in the 1800s, link, link, link. It is true that America has become ‘great’ (Gen 48.19) and has blessed the nations through spreading the message of salvation through Christ. But note that Jacob said Manasseh was to become ‘a people’, not a nation or ‘multitude of nations’ like Ephraim (Gen 48.19). Moreover, in the British Israel interpretation, where in Genesis 35 verse 11 is the nation of Israel – the “great nation” prophesied in Gen 12.2? Why should America (Manasseh) take precedent over Israel when neither existed in Jacob’s time? 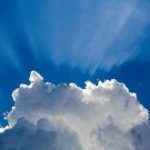 An Alternative View: The context of Genesis 35.1-15 is God’s birthright blessing upon Jacob (who had just been renamed Israel) in that from Jacob would come “a nation and a company of nations”. Now Jacob is found on the Bible timeline from 1836 BC to 1689 BC. This is some 400 years before the people of Israel were crystallized into a nation c1300 BC following the Exodus from Egypt, link, and some 700 years before the nation of Israel (the United Kingdom of Israel) first appeared under King David c1000 BC. Some see Isaiah 10.20-23 as referring to the future partial return of exiled Judah from Assyria (Babylon), link. 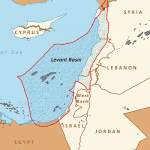 But likening multitudinous Israel to “the sand of the sea” is a reference to the promise of many descendants, which was a major part of the Abrahamic covenant (Gen. 22.17; 32.12). Also, the remnant is described as from Jacob and Israel. In this context it must refer to the Northern Ten Tribes that split off around 920 BC and were exiled to Assyria in 722 BC, link. The prophet Jeremiah also refers to the return of (a remnant of) Israel at the end of this age (Jer 33.7). There they join with Judah to become one glorious and prosperous nation, as depicted by the two sticks of Ezekiel 37. This view of the text is also a pragmatic view. Clearly, the tiny land of Israel (the size of Wales) can only accommodate a tiny fraction of the multitudinous house of Israel. On the other hand, as discussed, the number of Jews worldwide is relatively small and can be accommodated in tiny Israel. 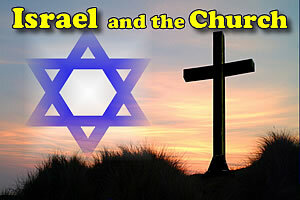 Today many Christians are attracted to the Israeli people and to the nation Israel e.g. tourism. There is also an interest in the Hebrew roots of the church, and in Messianic Judaism. Why? One line of thinking is that the church is spiritual Ephraim (aka Israel), link, whilst others go further and claim the church is Ephraim, link, link. On the other hand, such ‘theology’ is roundly condemned as heretical, link. Where is the truth? Many Christians are without a doubt the literal descendants of Ephraim and Manasseh. 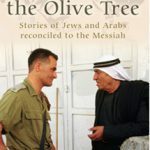 Those who are not, according to Paul the apostle, once they come to a saving faith in Yeshua in some unique sense become the descendants of Abraham (Gal 3.7,29), link. 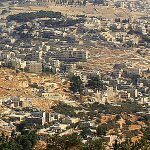 This may explain why many believers are now looking to their Hebrew roots and are sympathetic to the modern nation, Israel. 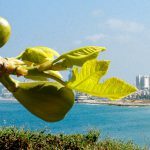 Material Blessings: Looking at modern Israel, few would deny that these descendants of Abraham (essentially Jews, descendants from the tribe of Judah) have blessed the world. 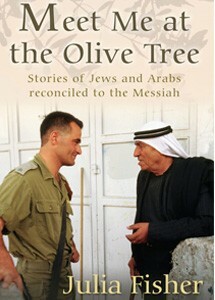 Everywhere you look you find Jews at the top of the tree e.g. in medical science, agricultural technology, bio-technology, nano-technology, car technology, computing and IT, cyber-security, solar energy, and optical sensors, link. Israel ranks first in the world for total expenditure on R&D, ranks first in the world in scientific publications, and has the highest density of start-up companies in the world. 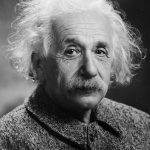 The Jews represent just 0.2% of the world population but have won 129 Nobel prizes. Clearly, in the present age the church is fulfilling God’s covenant with Abraham through missionary activity. Can we refer to (at least some) of the worldwide multitudes of believers (the ‘church’) as ‘Christian Israelites’? Or are they all ‘Gentile believers’ (Messianic Jews excepted)? Let’s assume the following timeline:  the ten lost tribes initially settled in western Europe and Scandinavia, with Ephraim settling mainly in the British Isles,  the tribes intermingled by marriage with the Gentiles,  at the end of the medieval period (15th century) Britain and most of northern Europe had a spiritual awakening via the Protestant Reformation,  Britain translated the Bible and, via her oft-maligned Empire, spread the Gospel message across the world through missionary activity,  Today (as prophesied) we hear the God of the Bible praised “from the ends of the earth”, the seed for this historically coming from the British Isles. Now, since all 12 tribes of Israel were Hebrews, and ten of these tribes intermingled with the peoples of Europe, then some of Europe’s so-called ‘Gentiles’ must be of Hebrew descent. Also, some of these peoples via missionary activities spread the Gospel overseas to other nations. So at least some believers in Britain and many nations of the world might be described as Christian Israelites in the sense that, unknowingly, they have Hebraic roots by descent. Moreover, this hidden Hebraic descent could be the catalyst for the growth of the true church worldwide, and the revived interest in Israel and the Hebrew scriptures today. To underscore this view we note that the New Covenant in church teaching is the fulfillment of the new covenant promised to Israel in Jeremiah 31.33-34. If we reject this concept and fall back on Replacement Theology (the church has replaced Israel in God’s salvation plan), then we have to conclude that all 10 tribes have served their purpose and vanished! But why do we find them on the end-time world scene e.g. in the book of Revelation chapters 7 and 21? It seems that the end-time destiny of the house of Israel now spread throughout the nations will be harsh. Today many nations are opposed to biblical teaching and in particular to the Gospel message of salvation in Christ. Former mainly Christian nations (as in the British Isles) are now embracing humanistic laws which trump biblical teaching. 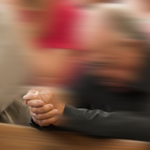 A recent study concluded that Christians are the most widely targeted religious community in the world, link. From the horrific beheadings of Coptic Christians in Libya by the Islamic State, to the mutilation of Indonesian Christians who refused to convert to Islam, it is estimated that 7,100 Christians died for their faith in 2015. The book of Revelation associates this time of persecution with the tribulation of the Jews in end-time Israel (see below). Satan rages against both the house of Judah in Israel, but also against the regenerate house of Israel (followers of Jesus) throughout the world (Rev 12.13-17). Multitudes of believers suffer in the coming “great tribulation” but come out to inherit eternal life with Christ (Rev 7.9-17). 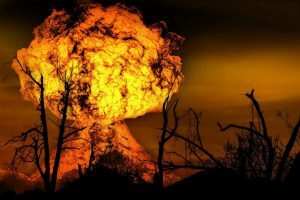 Jesus referred to this time as the “great tribulation” (Mat 24.15-28) and it reaches its climax when “the abomination of desolation” is set up by the end-time world dictator in the (new) Jewish temple (Dan 9.27). The reference to “Jacob” implies that persecution comes to all 12 tribes, although it is primarily to the house of Judah (the Jews in Jerusalem). A literal interpretation of Rev 7.1-8 suggests that Israelites from all 12 tribes are ‘sealed’ for their protection around this time. 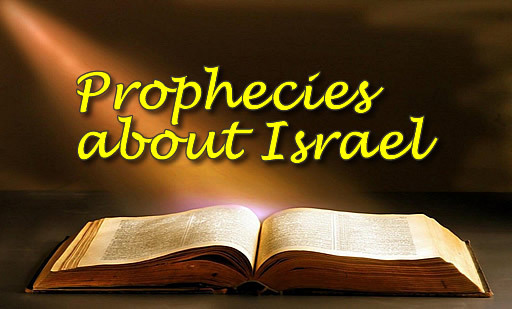 Prophecy points to two major wars against Israel and many Jews will die at this time. 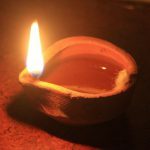 But one third will be refined as if through fire and survive (Zech 13.8-9). 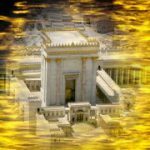 The house of David (aka Judah) in Jerusalem and some from the tribe of Levi will mourn as they recognize Yeshua as their expected Messiah (Zech 12.10-14). In v21 the term “sons of Israel” (NASB) or “children of Israel” (NKJV) appears, in this context, to be a generic term for all 12 tribes since they once again form one nation after they return. How will this be done? As discussed, the Jews in Israel suffer terrible persecution just prior to Christ’s return, and this results in a remnant being “refined as silver” and “tested as gold” (Zech 13.8,9). They mourn as they recognize “the One whom they pierced” (Zech 12.10) to be their looked-for Messiah (Heb: Moshiach). And so, as Christ returns, both northern and southern kingdoms of Israel become united in belief in Christ as Messiah, Saviour and LORD. 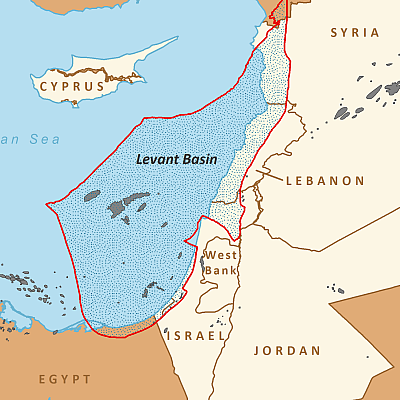 The number of people involved are not defined, but clearly it is sufficient to demonstrate a merging of Israel’s two kingdoms into one nation. One of Ezekiel’s sticks represents the SCEPTER people and the other the BIRTHRIGHT people. Paul refers to this event by saying “all Israel will be saved” (Rom 11.26). The nation Israel once more becomes God’s witness to the nations during the Millennial reign of Christ. This glorious future age sees the fulfillment of the unconditional Abrahamic, Davidic, Palestinian and New Covenants. In other words, Israel becomes a great nation, Christ sits on David’s throne, the land of Israel becomes blessed and fruitful, and God writes His Law on the hearts of both Jew and Gentile. The migration of the Lost 10 Tribes of Israel shows the spread of the Birthright throughout what is now Europe, Great Britain and Northern Africa. This major migration took around 1200 years, it started in 721 BCE and covered the Middle East, all of Europe and North Africa. Starting in 721 BCE the Tribes of Israel moved north east through Assyria to Parthia, where they settled for some 900 years. Around 200 CE the major movements occurred north west across Europe to what it now the northern parts of the Netherlands and Germany. The tribes moved in Europe for the next two to three centuries. Between 400 and 500 CE the migration moved north into Scandanavia which was the home of the Finns who were part of the Magyar or Hun horde which had invaded Europe 1200 years before. Migration to the west was into Britain with it’s Angles, Saxons and Jutes. To the south east the Lombards (sub tribe of the Anglo Saxons) and Ostrogoths migrated into what is now Italy. At the same time there was also movement to south west through Iberia. The Suevi settled in what is now Portugal and the Visigoths into what is now Spain displacing the Vandals who moved into northern Africa to a revolt there. The Heruli (the most unstable of all the tribes) moved into Dalmatia and what is now Croatia. The Allemanni Teutons also moved into Switzerland. See the Descendants of Odin for more details about Odin and the Parthian Horde’s movement into Britain. Also see the Scandinavian Great Migration Period. Why bother with tiny Israel – a country the size of Wales with just 8.5 million people and endless neighbour problems? 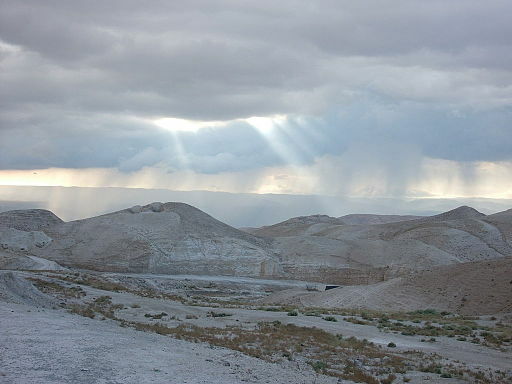 The following amazing video summarizes God’s plan for Israel, from her conception through Abraham, to her restoration and into the Millennium. The video below pulls no punches – it says it as it is – and will be. It speaks about the millennial earth where Jerusalem will be the focus of nations and the Hebrew language will be spoken even by Gentile nations. And it speaks of the new earth, the reality of heaven and hell, and the reality of the saved and the unsaved! It speaks truth. Dare you watch it? 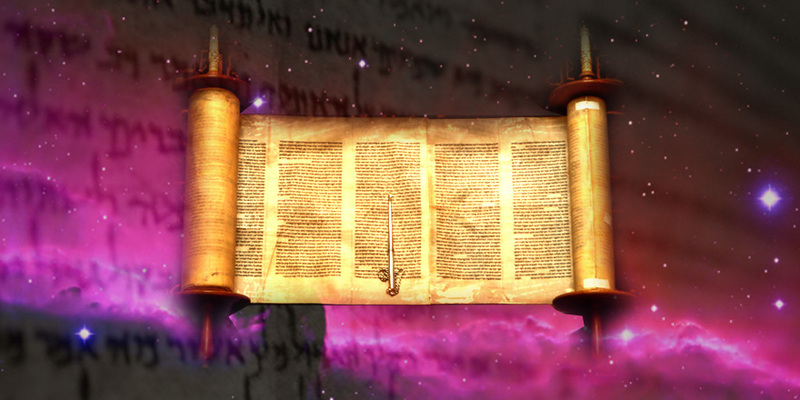 The Hebrew word ‘ot (oat) occurs 78 times in the Old Testament and is translated “sign”. It refers to a visible illustration of something that cannot be seen, namely, an agreement (covenant) between God and man. There are a number of covenants in the Old Testament, each with their own sign. For instance, after the Flood, God covenanted with Noah and all later generations that He would never again flood the earth. The sign of this covenant with man is the rainbow (Gen 9.11-17). 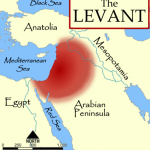 Subsequent covenants were associated specifically with the Hebrew people – Israel. God covenanted with Abram to be God to him and all his descendants for ever. This Abrahamic covenant was the foundation stone of the nation of Israel – God’s chosen people – and the sign of that covenant is circumcision (Gen 17.11). This sign remains to this day. Hebrew Revived: Hebrew is Israel’s national language. The restoration of Biblical Hebrew to a modern day spoken language is a unique sign, link. There is no other example in world history of an ancient language being revived as the spoken language of a modern nation. 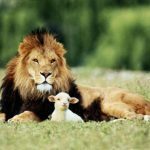 Protection in War: The blood of the Passover lamb was a sign to the Hebrews in Egypt of God’s protection (Exod 12.13). 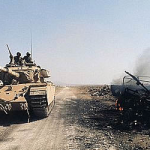 Many see Israel’s quick victory over five attacking Arab armies in 1967 as a sign of God’s protection. Keeping the Sabbath: Israel was told to keep the Sabbath as a sign of God’s special relationship with them (Ezek 20.12). So today, Jerusalem falls quiet from Friday evening until Saturday evening as many Jews respect the Sabbath. 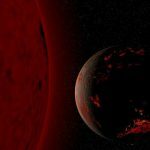 Astronomical Signs: Blood moons are well known in astronomy, but they can take on special and serious significance for Israel when multiple blood moons fall on the same dates as Jewish festivals. This occurred in 2014-2015, link. 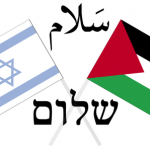 Sukkot 2015 saw the start of the third Intifada (Palestinian uprising) against Israel. Migration Paths: The so-called ‘Ten Lost Tribes’ were instructed by God to leave signs along their migration routes. This can be seen in the many stone monuments or ‘dolmens’ in western Europe. After c200 AD Hebrew died out as a spoken language as Israel was finally scattered throughout the nations. 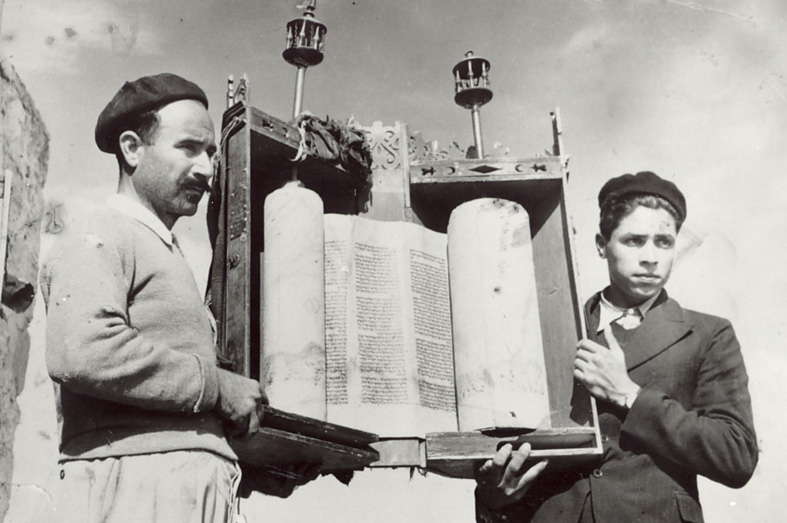 But during the Diaspora scattered Israel still had Hebrew in literature form, as in the Pentateuch and the Mishna (a written oral law). 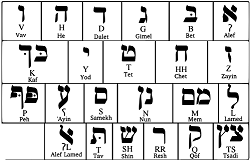 So although Hebrew had essentially ceased as a spoken language, the literary Hebraic backbone of Judaism was still studied and recited in the various scattered Jewish communities, link, link. 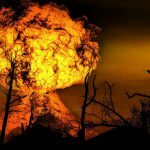 A common interpretation of the relevant prophecies is that the immediate future for Israel is bleak as nations attempt to eliminate her by war, link. But, despite severe losses, a remnant of Israel survives and leads Israel into a time of peace with the world. 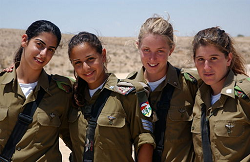 This is the so-called millennial age on earth, when the whole world is at peace and nations are at peace with Israel. In fact, Israel becomes the focus of world attention as she once more takes up her role as God’s witness to the nations (Isa 43.1,10 and 2 Sam 7.23), link. “This is the place of My throne” (Ezek 43.7). Read more at David Dolan’s website.